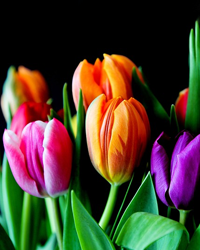 Obituary for Margaret Cervanyak | McDonald-Aeberli Funeral Home, Inc.
Margaret Cervanyak, age 92, of Moon Twp., passed away on Tuesday, April 16, 2019 at Greentree Manor Care. Margaret enjoyed activities with her group home in Moon Twp. She was the daughter of the late John and Margaret Derek Cervanyak. Sister of the late Anna May, Theresa, Dorothy “Dot”, and James and Robert. Survived by nieces and nephews and great nieces and nephews. Friends will be received at the McDonald-Aeberli Funeral Home, Inc. 238 Crowe Ave. Mars, PA on Thursday from 6-8:30 PM. Services will follow at 8:30 PM at the funeral home. Directions and condolences are available at www.mcdonald-aeberli.com.